The classic Super Smash Bros. game by Nintendo has been ported to the TI-83+ and TI-84+ by a developer that goes by “Hayleia”. First seen on the “Omnimaga” calculator forum, the new game has made headlines everywhere from Engadget to Geek.com. You can download the brand new game for your calculator in our Downloads section for free, and start spending your math and physics classes playing Super Smash Brothers. Don’t yet have a fancy calculator for your math class? 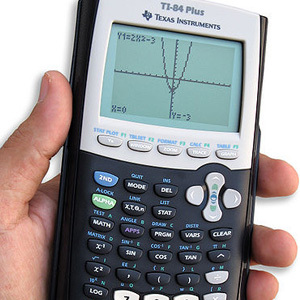 The TI-83+ and TI-84+ calculators can both run this game, as can the TI-NSpire with the TI-84 touch pad. Super Smash Bros. for the TI-83+ and TI-84+ is both singleplayer (two players on the same calculator) and multiplayer with two calculators. You can play multiplayer, with one person per calculator, using the TI Link Cable to connect to another TI-83+ or TI-84+ calculator with the game installed. 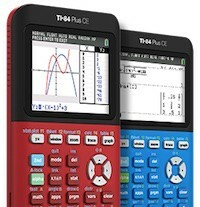 Did you get a new Texas Instruments graphing calculator for Christmas this year? We’ve got you covered with the best games on the TI-83+ and TI-84+ calculators. The holidays are almost here, and you’re trying to find a great gift for the math geek (or for that matter, anybody!) in the family. Whether the person is 18 or 48, there are plenty of great gifts to help out with college calculus or for managing the family finances. Now that finals are over for college students and many high schoolers are heading into the holiday break, it’s a great time to take a study break and relax. Protect Your Essays and Computer: Backup Your Stuff! Now that the end of the semester is approaching for high school students, it’s a perfect time to backup your computer and protect it from the winter weather to make sure you don’t lose final projects and reports.